SL Video: "From A Land Down Under"
Seanchai Library at "Scare Me Silly"
SL Video: "Bohemian Rhapsody - Furry version"
Linden Lab Calls For Venues For "Cree[y Crawl"
SL Video: "Suite Lingua Mortis"
SL Video: "InSilico - Mission Interrupted"
It's time for Halloween, and time for some spooky fun, and a few days to come down from the dark and monsters. Goblins, Ghouls and anything else spooky. Come one, come all to the Final Halloween Event of the Year at Happy Vixen! We're rocking the night away with not one, not two but three rocking Dj's spanning six hours of Halloween mayhem. We have DJ Naughty Nydia, DJ Squeaks and a rare treat for one and all. 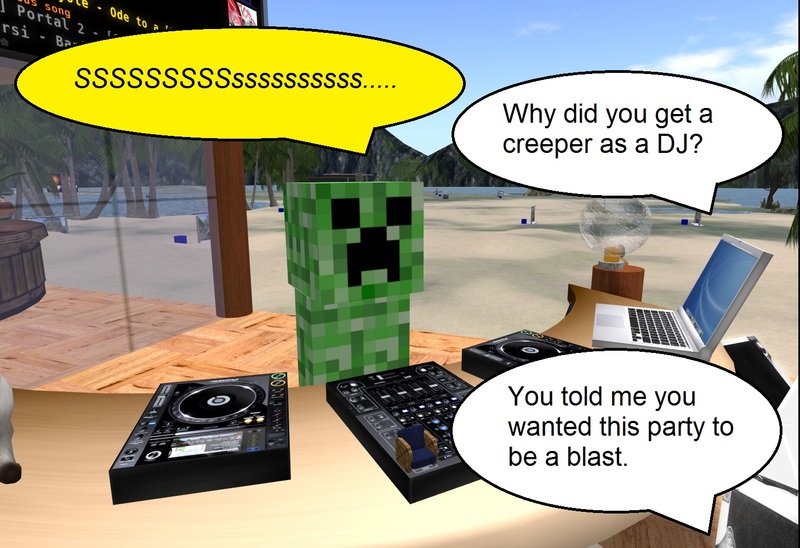 DJ Jasmine Hornycorn. If this lineup isn't enough to wet your musically inclined sweet tooth, we're throwing down a massive 7000L prize to be sliced down the middle for all the creeps and deadies. Shall be a night to die for! Need a date? Borrow a shovel and dig one up! Creep, crawl, slither, flap or just appear like a spook and help us rock the night away at Happy Vixen Haunted Woods on Halloween night! 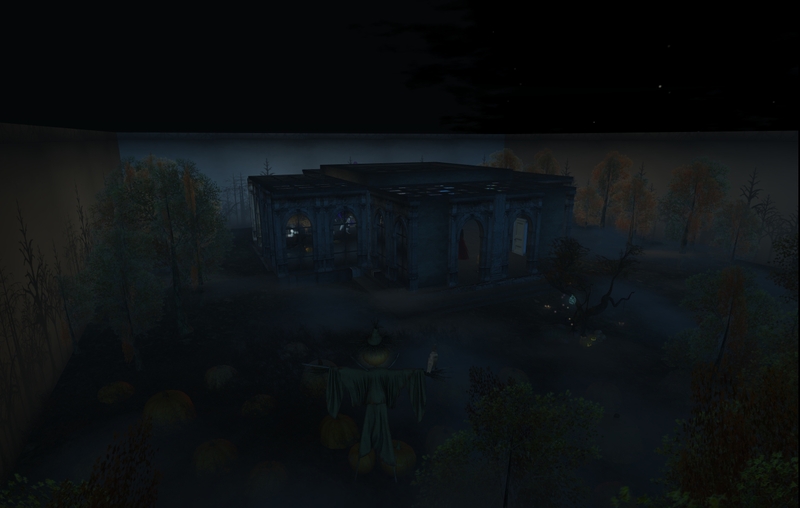 For the third year in a row, Linden Lab has organized a event on Halloween covering a number of venues, the "Creepy Crawl." The name comes from the term "bar crawl," in which a group of people visit a number of bars in a period of time, spending a little time at each one. 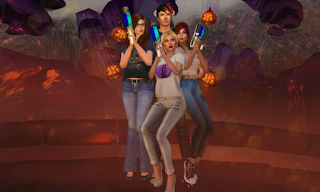 For this Halloween-themed event, those taking part will head to several venues from 10AM to 2PM or afterwards, the list being announced by Xiola Linden on the afternoon of October 30. 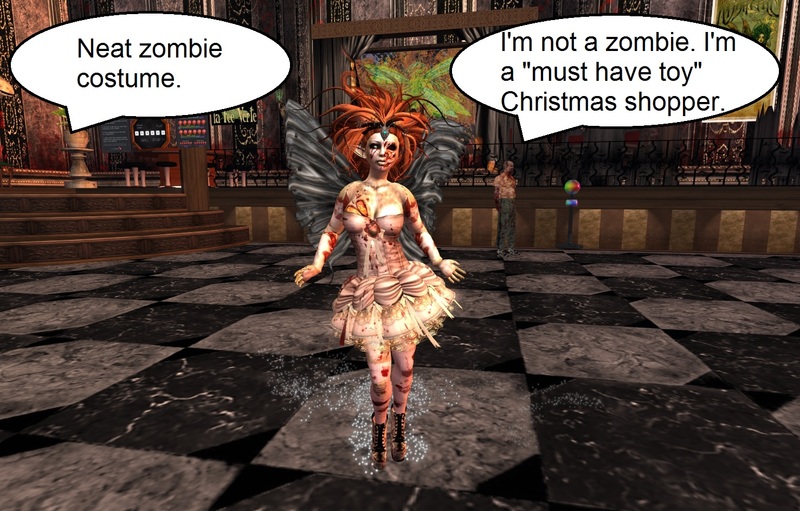 As part of the fun, there will be a costume contest with a 5000 Linden dollar prize. One feature new to the Creepy Crawl will be a Halloween-themed version of the Linden Snowball Fight: "The Pumpkin Fight." In the middle of all the dancing and costume contest winning, we’ll make a stop at the old snowball fight arena - where things have taken a twist for the twisted. Shooting pumpkins has never been more fun. 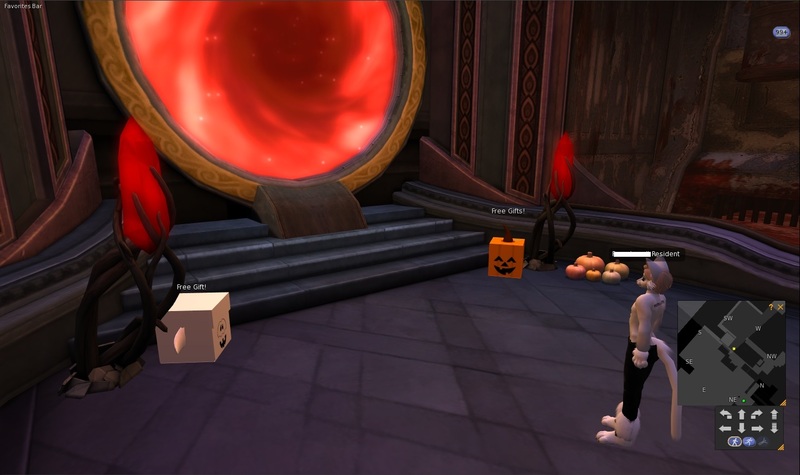 That’s from noon to 1 pm (SLT) at the Pumpkin Fight Arena - but you can get some practice in before then! So be sure to stop by for some "spook-tacular" fun. To read Xiola's blog post in full: Click Here. The Burn2 art and music festival reached it's high point over the weekend with the Temple Burn, and the signature event, the burning of "The Man." Klaus Bereznyak was there, and watched the rangers, lamplighters set things up for the burn as the onlookers gathered. 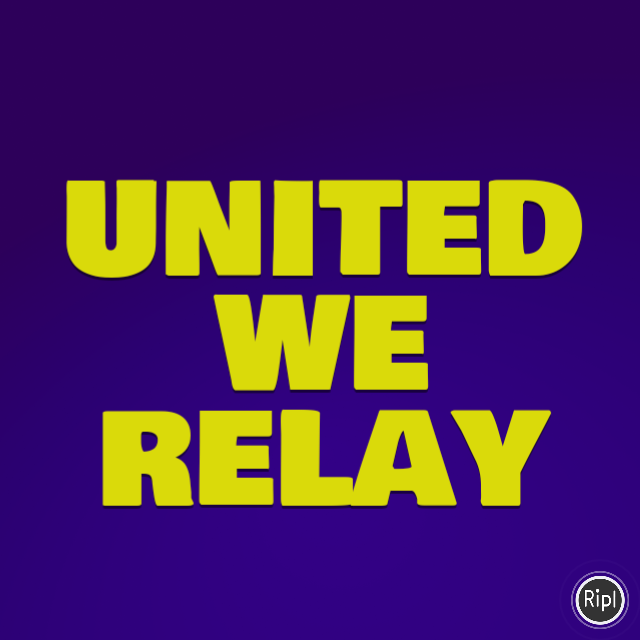 2018 RFL Theme Announced, Changes Coming in "Project Relay Refresh"
Over the weekend, the theme of next year's Relay for Life season was finally announced: United We Relay." But this was only part of the news concerning the Relay for Life. There were some big changes announced as part of "Project Relay Refresh." There are certain moments in your life when you realize that you have to change something about yourself if you’re going to continue to be the best version of yourself. For RFL of SL, this is one of those moments. Our event has a rich history that combines tradition with a desire to adapt. The key to that combination is to make sure that our adaptations are appropriate for what our community and our world needs us to be. It also means that as we change, we have to be willing to let go of other things that we may never have considered. And we have to make sure that all of our decisions are aligned with our core values. While the reasons for "Project Relay Refresh" have not been given, it may have to do with as successful as the Relay for Life in Second Life has been, it's best days have been in the past. The total amount raised this year was $213,004 USD compared to $415,000 USD in 2014. 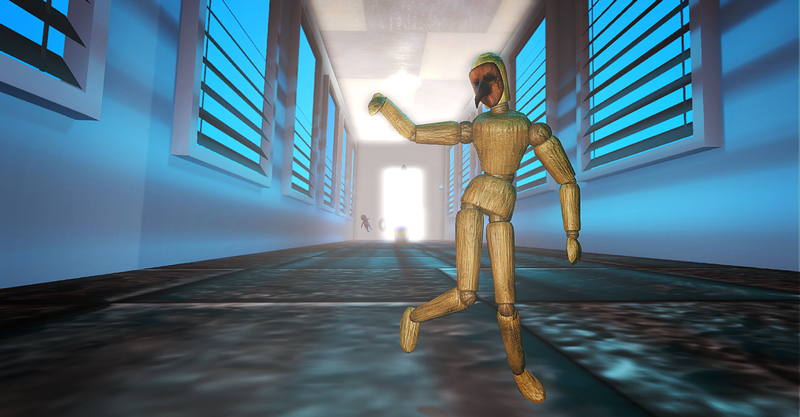 The total number of avatars on the Relay Weekend track was 966 compared to 2364 in 2014. The track itself has been smaller, 29 sims compared to 44 sims in 2011. On the website, some changes for next season have already been announced. The most notable change is the Relay season will be shorter, going from five months to three. Also, there will be some changes with campsites, every team will be eligible to have a campsite, with some campsite areas being shared. Another change will be team fundraising levels. Longtime Relayers will recall that over the years they've been going up. For instance in 2017 it took 75,000 Linden dollars, or $300 USD, to reach Bronze rank, 187,500 Lindens or $750 USD to reach Silver, 312,000 Lindens/ $1250 USD for Gold, 562,500 L/ $2250 USD for Platinum, and so on to five million Lindens or $20,000 USD for Purple rank. For 2018, the fundraiser levels will be rolled back so it takes just 12,500 Lindens or fifty US dollars to reach Bronze rank, 50,000 Lindens or $200 USD for Silver, and so on up to 1,250,000 Lindens or $5,000 US dollars to get to Purple level. The "Rising Star" level that had been created as the new starting rank as Bronze level requirements kept going up and up has been eliminated, at least for this year. We are now accepting submissions for the theme logo. Send a 512x512 image file of your design to stingray9798@gmail.com by Friday Nov 3. Stay tuned for further news as more details come in. 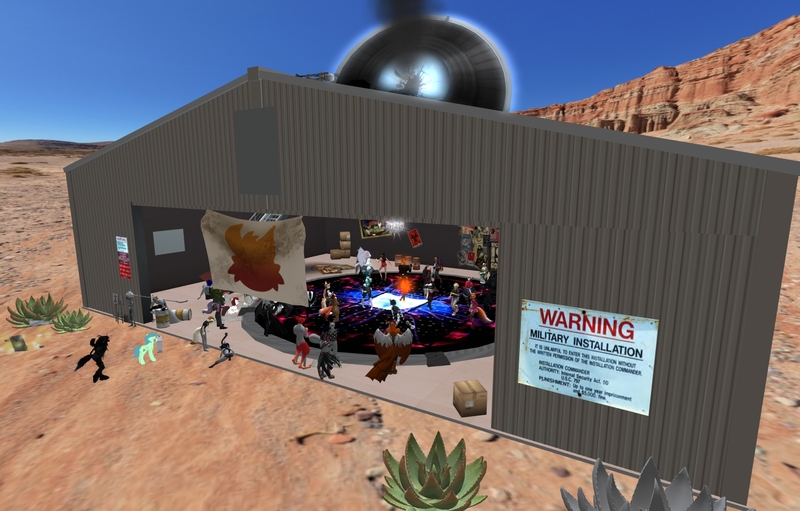 For longtime residents of Second Life, one place many visited in their early days was "YadNi's Junkyard," one of the best known and largest freebie places. Up since at least 2004, newcomers and more established residents on a budget could go there for clothes, avatars, jewelry, weapons, textures, animations, gestures, and more. 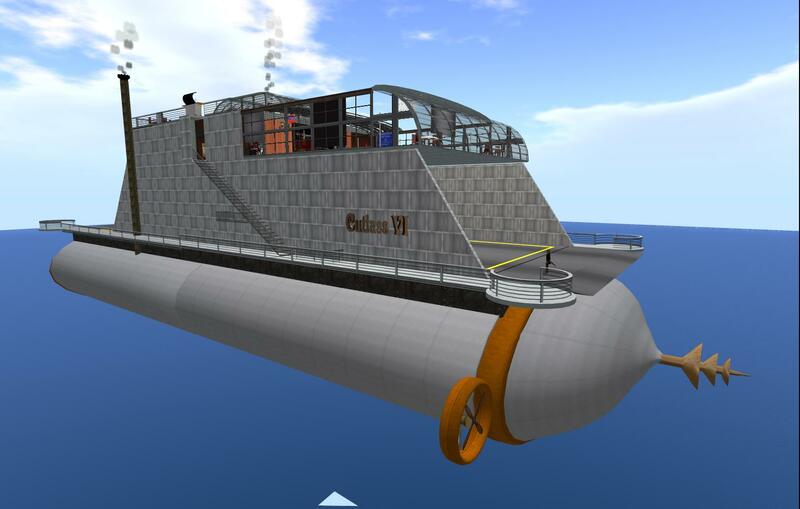 He also had a few newstands of inworld publications, such as our predecessor paper the Second Life Newspaper. Although it's unknown how many people visited the place, YadNi himself felt the number was many thousands. But in June 2015, YadNi reluctantly took the landmark location down after it had been up for eleven years. Unfortunately, YadNi hasn't been doing that well financially. After he had to put a small business on hold, he announced on his Facebook page via a Patreon site he had put up that he would need help if he was going to continue his hobby of drawing. As far as I can remember, I am drawing. And I never stopped, using all tools that would fall into my hands, thus learning different techniques and skills (from analogic to digital). Today is the day where I need some support from all my friends from all over the World. I want to keep creating, to go back to my analogic roots and to do it for You Guys. I had a chat with YadNi over IM. "Everything got a little complicated," he spoke of his troubles, "I had founded my own 3D personal enterprise. (It) lasted quite a good while, until i came onto a client who didn't honor his payments and put me under. I had to close said enterprise (due to a) lack of reserve money, had to move apartment to a single room, and now I'm totally disgusted in 3D and am going back to my first skills, hands and paper. ... I (had) worked for him for two months and I was always on the edge with money. The simple fact that individual didnt pay the bills, my accountant said there was nothing to save me and I had to close. So I'm starting all over from scratch, hoping to gather enough to restart something serious if possible." 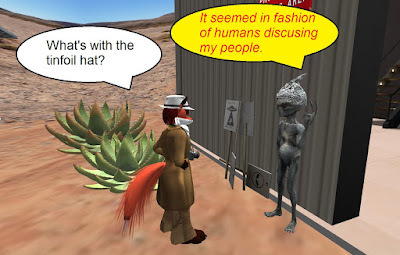 When I brought up his past in Second Life, YadNi responded, "I have mostly been a builder, did work in Second Life for Nike, Toyota, Warner Bros, Alcatel, and many groups and (other) people. I built entire sims, even some stuff others refused because they thought it was impossible to do (Intel sim). I then went to InWorlds, a parallel grid where I did over four or five years building there." He pointed out his one page blog at (https://yadni.blogspot.fr/) that described his beginnings, including where his online name came from. mentioning he had been calling himself in real life as an artist. Once again, YadNi's Patreon page is at https://www.patreon.com/YadNiMonde . His goal is to get $500 USD a month, at which he'll start holding raffles monthly to send one artwork to one of his supporters. Safra Nitely, a friend of the Newser, will be having her annual Halloween bash at Devon Dream. Although intended for her Darkwing group and their friends, the event is open to any whom want to drop by. It should be noted the location is rated adult, so some guests may be scantily dressed. 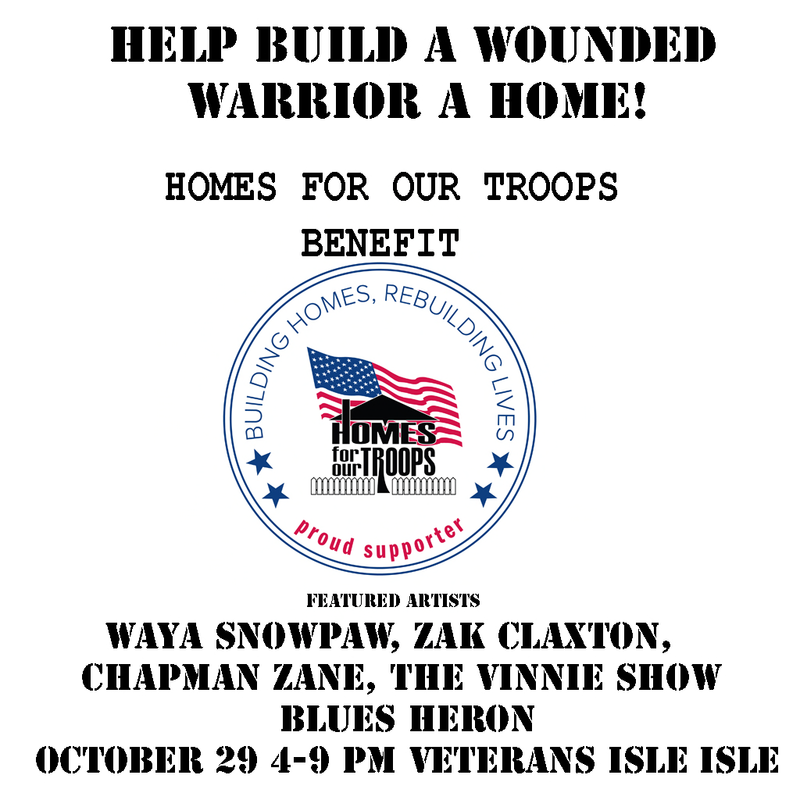 Frets Nirvana and US Military Veterans Group announce the 2017 October benefit for Homes For Our Troops in Second Life! Frets Nirvana, the premier guitar artist in the virtual world Second Life and the US Military Veterans Group announce the 2017 October benefit on October 29, 2017 in Second Life for the Veterans Support Organization Home For Our Troops . 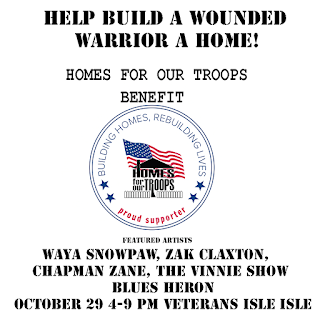 Home for Our Troops benefit concerts feature premier Second Life talent monthly at Veteran’s Isle. The concert on October 29, 2017 is scheduled from 4-9 PM PST. 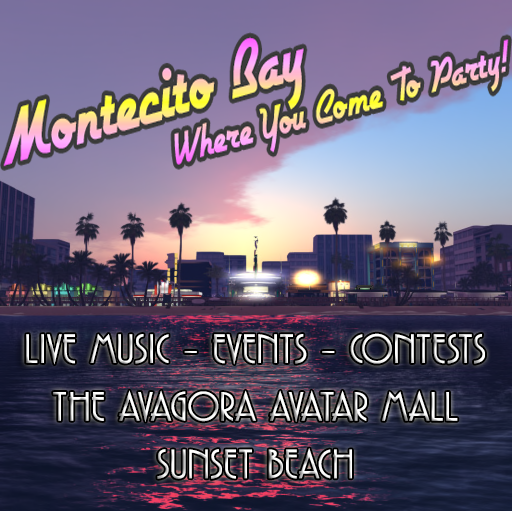 Featured artists will be DJ Waya Snowpaw, Zak Claxton, Chapman Zane, The Vinnie Show (Acoustic Rhapsody) and Blues Heron . LET THE MAD RUMPUS BEGIN! Tales, Adventures, the Spooky, and the outright Frightening. We'll be out and about haunting the grid with stories to delight and thrill at Innsmouth, the Time Portal, and back home on "Haunted" Holly Kai. 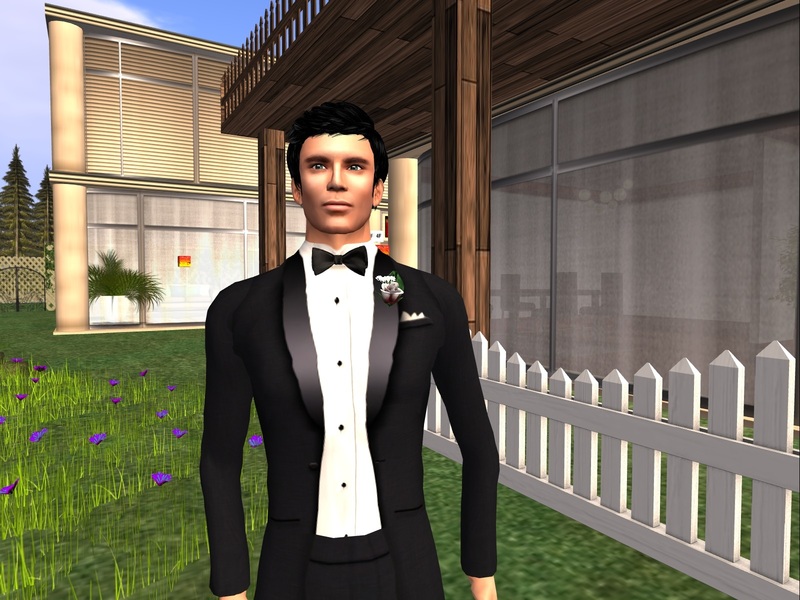 Join us for stories all week in #secondlife, and on our properties in #kitely, live in voice. ~ at NOON: THE GREAT BOO! at Holly Kai - Seanchai Library and Friends gather round the autumnal fire to share ghostly adventures - tales of the weird and unexplained. @ 2pm - DJ Joy Canadeo rocks the terrestrial plain, and the "beyond" with great tunes among the spirits. Grab a ghostly friend and join in the dance! Both events benefit Feed-a-Smile, Kenya and will be held in the specially rezzed "Haunted Holly Kai" courtesy of Pandemonium. Stories in voice, music on stream, at Haunted Holly Kai?? ~ at 6pm: MAGICLAND STORYTIME - Caledonia with Selections from "The Graveyard Book" live at the Golden Horseshoe in Magicland Park. ?? ~ at 8:30 pm: HALLOWEEN LATE NIGHT , spooky tales with Shandon and Kayden, including a special presentation of The Fall of the House of Usher. 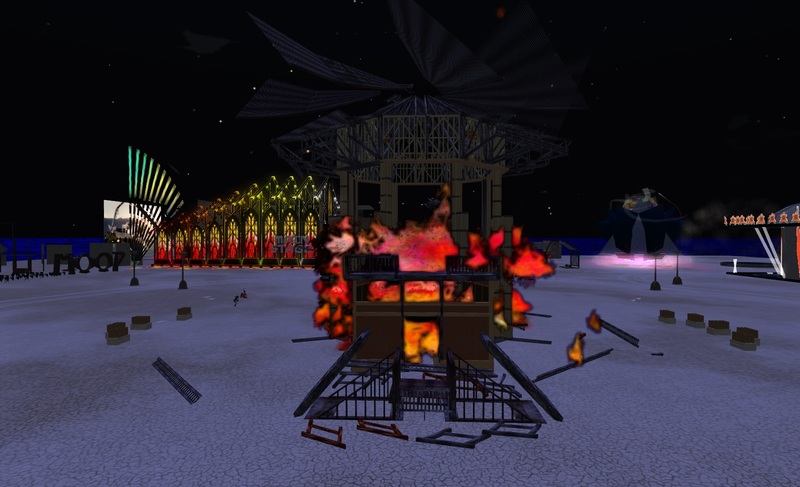 The high point of the Burn2 art and music festival, the Burning of the Man, or the "Man Burn," will take place at 11AM SL time and 5PM SL time. On Sunday tomorrow, the Temple Burn will take place also at 11AM and 5PM SL time. The entrance to the festival is at Deep Hole (117/18/25). 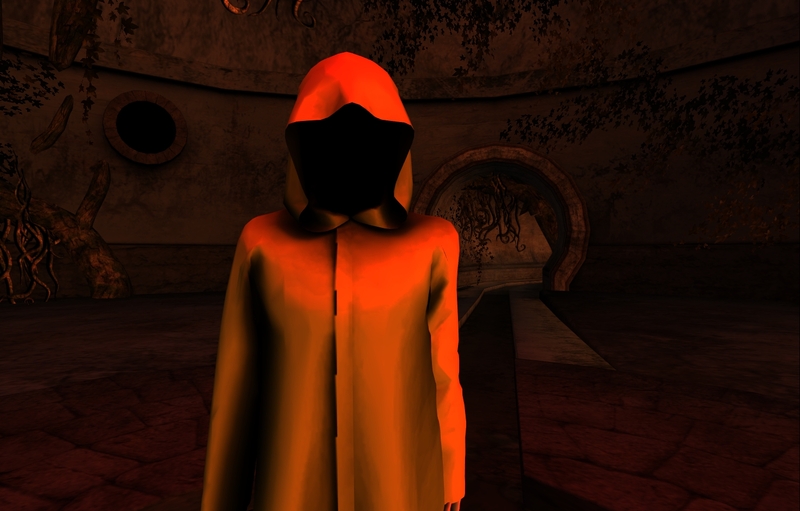 Head to where most of the avatars are, but stay clear of the structure itself. In Roman religion, the Lemuralia or Lemuria was a feast during which the ancient Romans performed rites to exorcise the malevolent and fearful ghosts of the dead from their homes.Our Lemuralia ritual will banish any malevolent spirits, both real and imagined, while welcoming the protective spirits of the Lares and beneficent ancestors. Followed by ghost stories in the ROMA tombs! Witness our brave gladiators fight in honour of the Lumeria and the glory of ROMA in several bouts to the "death"! The gladiator with the most bouts won will receive a cash purse and be granted a laurel wreath of victory! Come watch the bloody battles and cheer your favourite on to glory! the contest winners will receive a $L1000 prize! Armilustrium honours the god of war, Mars - In His honour, Romans put away the weapons of war for the year, until warmer weather allowed for more lengthy campaigns. Join us and the Legion in celebrating this brief time of peace. Ghouls and goblins, witches and forest spirits are all invited to the final Grand Feast! Join your neighbours, guests and friends for this Hallow'een feast, with live music by Max Kleene! Come join us as our Legio faces off in a game of bowling (with a pumpkin as the ball) in honour of the Lemuria! All citizens are invited to participate in the game or watch from the sidelines! 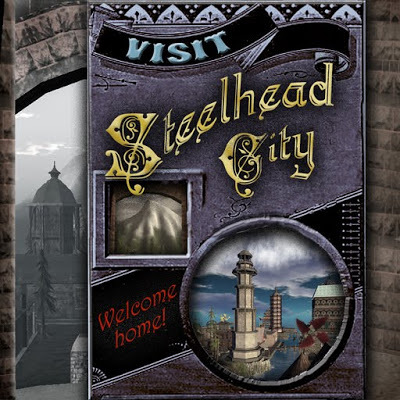 SL Video: "The City State of New Babbage - Second Life - 'Dawn 2017' "
From Victor1st Mornington on Oct 20, "2017 marks the 10 year anniversary of the founding of New Babbage. 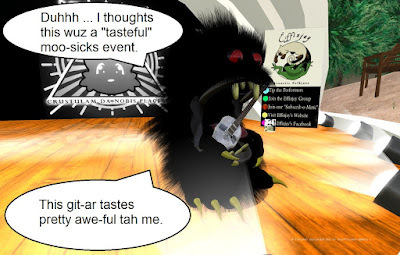 Its also almost half a decade since the original takes of Dawn and Dusk, the two showcase videos centered around New Babbage in Second Life." Last Saturday, October 21, two communities celebrated their anniversaries. 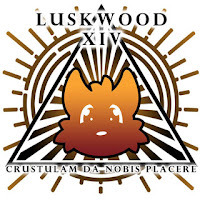 One was Luskwood, the best known furry area, and probably the oldest community of any kind still around in Second Life. The other was Trotsdale, the most well known pony region. These two groups of people, some whom have a number of friends with the other, combined their anniversary events, their fourteenth and sixth respectively, into one single day with over eight hours of music. The Newser was there to report the happening. One person Deaflegacy looks up to is Ari (arisia.vita). A pianist in Second Life, he plays in Cape Heron, Creations for Parkinson's, and other places. The musician recently reached a milestone: his tenth rezzday. He would perform at Perfect Paradise that day, and Deaflegacy was among those who dropped by to both listen to his music, and wish him a happy rezzday. Read Deaflegacy's article in People. AHOY! SET SAIL FOR THE TREASURE THE CHESTS SURVIVORS’ GALA! Come with us as we celebrate all breast cancer Survivors and Caregivers in a costume ball gala from 1 to 6 p.m. SLT on Saturday, Oct. 28. In addition, there will be a Live Auctions going throughout the event and Making Strides awards given out. 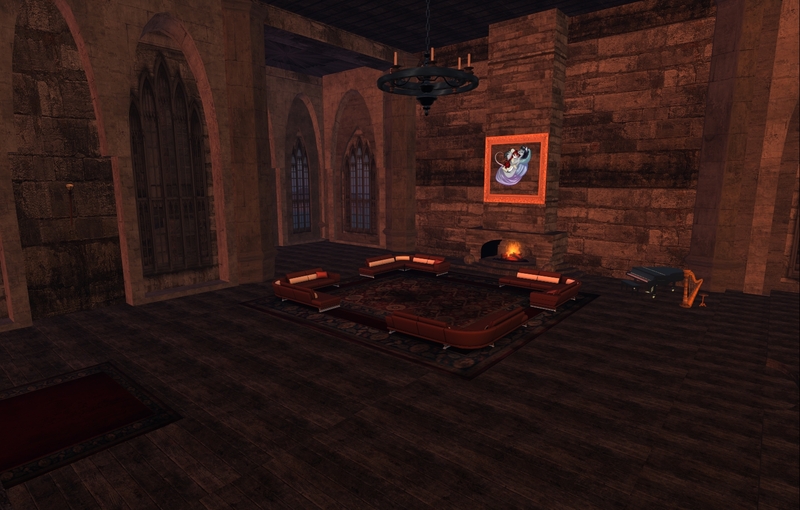 Destiny Estates as a rental home for you in SL. Auctions will be LIVE on Oct. 28th during the Honor Gala. You can place bids via Sandie Loxingly and Leala Spire before the Gala, if you can't attend. The “Treasure the Chests” event runs through Oct. 31. 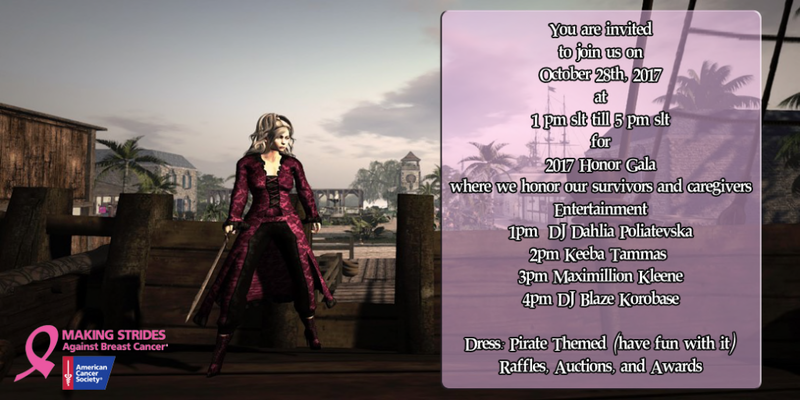 Stroll along the streets of a Caribbean pirate town and help raise funds for breast cancer research. 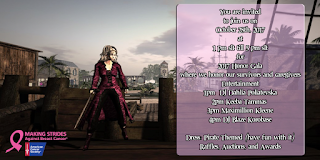 The event is sponsored by Making Strides Against Breast Cancer Across Second Life. In February, Mouse Hole Manor, the home of Nydia Tungsten and her partner Brandi Streusel,was taken down. In place of the castle, which had been up for some years, went a more modern home that was up for a few months until it came down when Nydia and Cynthia Farshore exchanged sims. In Pacific Waters, Nydia had a smaller home on an island for a time. But this week, she and Brandi made the decision to bring back the Manor. "Well, we have been talking about it," Nydia told the Newser, "We kept having problems with the other ones. Now we are finding out a lot of others missed it as well, and the phrase 'Local Icon' kept kicking around in the back of my head. But most of all, we feel, this is home." Nydia is still setting things up, so anyone dropping by in the next few days will see some bare rooms. While nothing is set in stone, except perhaps for the castle walls, there will be some differences between Mouse Hole Manor now and from it's previous days. It's days as a place for business and planning meetings for the Angels group are pretty much over as those are done in the nearby office building in the southeastern part of Pacific Waters. The theater had been removed to make the "Float-In Theater" to the east. What there will be more of are games for Nydia, Brandi, and her friends, such as "Greedy." The island the Manor sits on has more trees on it, thinly wooded. Nydia says the place will be likely be the setting for special event such as weddings in the future. For now though, Nydia is happy to have her castle back, "Feels like home." It was eight years ago last week in October 2009 in which one of the major sponsors of our predecessor paper, BNT Holdings, a virtual real estate rental business owned byIntlibber Brautigan, went under. Intilibber was a controversial figure, for some of his opinions and as a defender of Woodbury University, which had a reputation for harboring griefers. But his sponsorship of Second Life Newspaper was long term and generous, with space for a large office and a private island for the owner and editor thrown in. All seemed well until in October 18 when editor Dana Vanmoer logged in to find she couldn't get to her home, and none of us could get to the office. Intlibber had defaulted on the sim payments, and no one knew anything until they were taken offline. Dana asked Intlibber for an official statement, and eventually he made one, While he blamed the economy for his difficulties, he also blamed others for his troubles, and Dana would not publish the "outpouring of spite" in full. Dana would soon get another sponsor and a new office in a deal with Skybeam Estates. But the paper never did recover from the blow, and a few months later in April 2010 she made the decision to close the paper two months later. After his business folded, Intlibber had gotten banned by Linden Lab "for multiple breaches of the TOS." One can read more on the details in our May 2015 article on BNT going under. 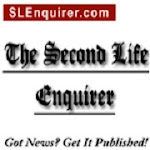 When Second Life Newspaper folded, Second Life Newser rose to take it's place. 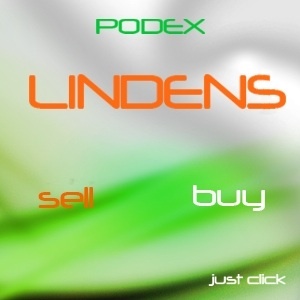 It's first, and longest running, sponsor was the Podex Exchange, sometimes called the Podex Bank. Run by Jacek Shuftan, they were a Linden dollar exchange service, exchanging Linden dollars for several international currencies, as well as Bitcoin. 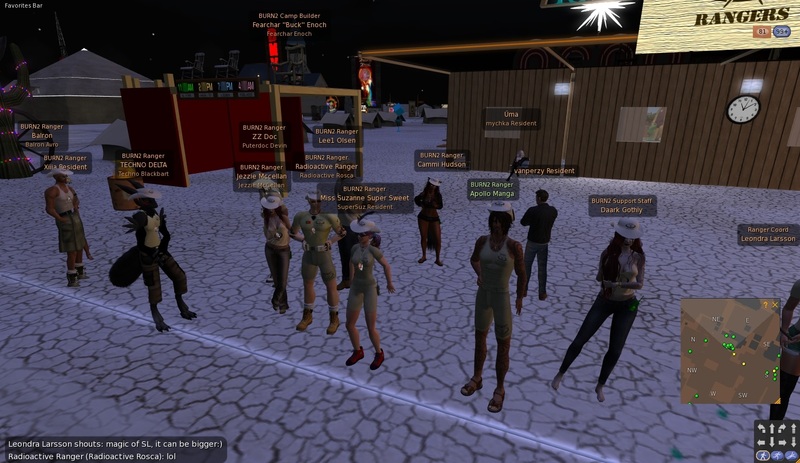 The big attraction, people could sell Linden dollars to him and get real world currency faster than with Linden Lab. Although not asked to, the Newser would do monthly adverts of stories of either customers at the bank or the misadventures of a hard luck bank robber, "Clumsy Cooper," whose schemes to rob Podex failed every time, and were futile anyway as he couldn't have gotten to the money. My "Polish cousin" as he called himself renewed his sponsorship time and time again, for years. Unfortunately, Linden Lab was less than happy with independent Linden dollar resellers, Podex included. In June 2013, they moved to shut them down, but partially relented after a public outcry, though putting restrictions on them. Two years later in June 2015, the Lab moved again to close them, saying after August they could sell no more Linden dollars. Although Jacek hoped the Lab could be persuaded to change their minds, this time the decision was final. And in late October 2015, the Podex Exchange building vanished from the Grid, and the Newser lost it's best sponsor. 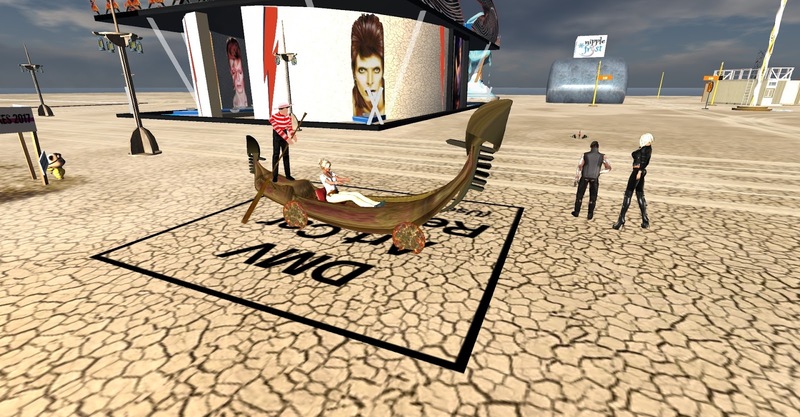 This was not the end for Jacek as he had expanded his business to InWorldz and other virtual worlds, but without Second Life he was making only a small percentage what he had been. Considering his blaming others for his troubles and not telling my former boss what was about to happen until after the axe fell, it's hard to sympathize with Intlibber. Jacek in contrast was an ethical businessman, and it's easy to see Linden Lab as feeling embarrassed by him beating them at their own game. One certainly remembers their best sponsor being told he has to shut his doors. In any event, we thank Jacek for his long period of support. Nydia Tungsten has been at it again. With the help of Dusk Griswold, Rita Mariner, Skylark Lefavre, and a few others, she made this video that went up on Youtube on Oct 22. 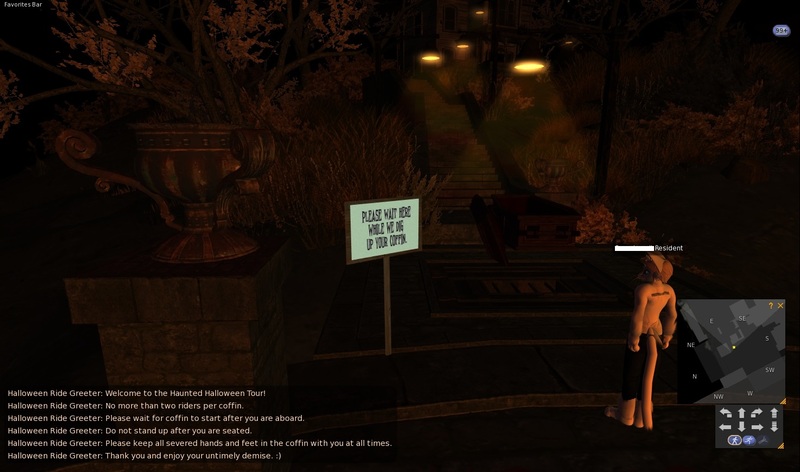 Taken at the Luskwood Anniversary's "Restricted Area." Any1 Gynoid, or Maggie Mae Bhaktiguru as she's been calling herself, is a friend of the Newser. One of the CNN iReporters, she once wrote for the paper on a regular basis. While she no longer can, she still sends us occasional stories. She recently sent a reader submission about the people in the live music groups she's in, or "stoners" as she refers to them and her. She got the idea when announcing an event by guitarist Jed Luckless, and got to her virtual pen about the love she and her friends have for just kicking back and listening to or making music, "It's 4:20 somewhere." Read Any1's reader submission in People. Burn2, the longest lasting and largest art and music festival, is taking place in Second Life. Gemma Cleanslate was at one time one of the Burners, the volunteers that keep the event running. While no longer part of the event, she still drops by to check on the friends she made there, and of course check out the sights and sounds to write about. Linden Lab no doubt has been blamed, rightly or wrongly, for a number of tricks on the residents. This Halloween, they have a few (almost) harmless tricks, as well as some treats. They announced details on their blog last week. Halloween isn’t just about dressing up and reveling in the spirit of all things spooky - there’s also that whole bag full of delicious treats your gather - so here are some stops you’re going to want to make to get your goodies. Exclusively for Premium members - we have Mary O’net - a special edition, wearable Glytch avatar. Mary is the perfect combination of elegant and creepy - a delight to don and dance away in haunted halls and stages all across the Grid! ... There’s also a bag bursting full of free treats for everyone! Just drop by Portal Park and see what’s in store for you inside the gift bag! There’s something for everyone inside - so be sure to drop by! I headed to Portal Park (incognito), and in front of the portal to the Haunted Halloween Tour ride (more on that later), I saw a couple of gift boxes. I got them, took them to a sandbox, and in one found a few goodies, including a skeleton avatar and a "Flying Eggling" vehicle that goes about by way of a rocket. In the other was a "trick or treat" bag, one that really does give out tricks or treats. Are you ready for Halloween? Because we want to be sure, we have prepared a special Trick or Treat bag for you! It's loaded with everything you'll need to enjoy the holiday with friends. (Well, mostly tricks, but you can find plenty of treats in Second Life.) Tyrah and Punkee designed this bag to build on the new inworld game, "Tyrah and the Curse of the Magical Glytches." You can set it on your doorstep as a surprise for curious visitors or you and your friends can dream up ways to use it for party games. Each time someone clicks on the bag, it chooses a random result. Usually it's a trick -- try it and see! -- but every once in a while it offers a treat for the person who clicked it. So ..... First person to get the treat wins? Or maybe you have to give everyone else a treat if the bag plays a particular trick on you? You make up the rules. Or just have fun. Rezzing the bag on the ground, I clicked it a few times. Occasionally it would give me the "treat," a 2 Euro coin. Usually there was some other result. Most commonly, the bag would catch on fire, or bats would fly around. Other results included apples flying out of the bag, the bag turning into a jack o' lantern, the bag flying off, or the bag ending up on your head. Ha ha! For Premium Residents, there's a Glytch avatar, "Mary O'net." The areas to pick it up it, such as Unttan (130/128/81), are accessible only to Premium Residents. To help encourage residents to upgrade their accounts, Linden Lab is offering 50% off their first quarterly payment if they sign up for Premium, until November 2.
Who says sequels never live up to the originals? The spine-chilling Haunted Tour is back again - and this third installment is scarier than ever! Some new additions to this house of horrors have been crafted for your enjoyment. Hop in a coffin and enjoy the wild wide through. By the way - if you have a fear of clowns, you may want to make sure you bring a friend! Stepping through, I saw an old abandoned manor up a hill ahead. A coffin-like car rezzed. Once in the ride took control of my view, so there was no panning around. The scenery was unnerving, and those with a problem with blood and gore might not want to get on, but I didn't see anything that was likely to cause heart trouble. To see Linden Lab's post in full: Click here. Halloween is approaching. 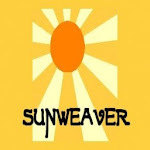 So the Sunweaver and Angel clubs, and the Furry Fashion Lounge, have some "spook-tacular" events this week. 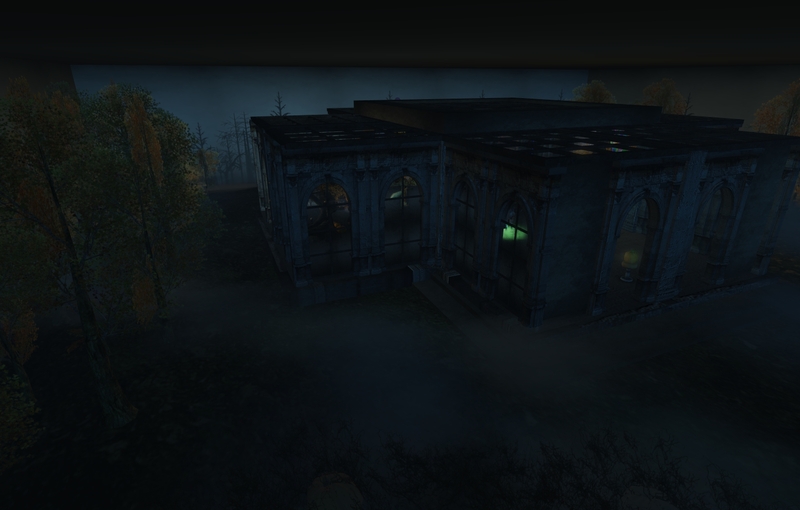 Ty Tenk and Truck Meredith have once again outdone themselves in their new area at Calas Galadhon. For Halloween, they're not doing what one might expect, spooky woods with ghosts and zombies. Instead, what they have this year is a science-fiction horror themed adventure: Dark Moon at the Erebor sim. So what awaits the travelers who brave the dangers to explore this alien world? 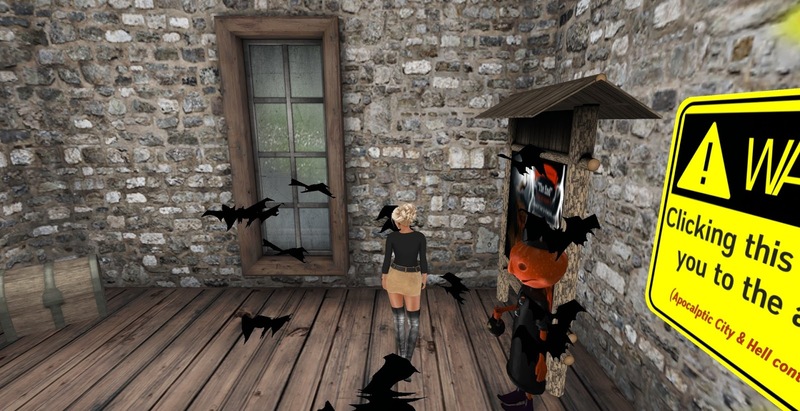 Corwyn Allen tells a spooky tale to an audience at the Water Haven sim as part of the Seanchai Library's two hour event on Sunday October 22 from 1 to 3PM at Team Diabetes' "Scare Me Silly" event. Besides Corwyn, Join Aoife Lorefield, Dubhna Rhiadra, Caledonia Skytower, and VT Torvalar also had some scary stories. The biggest annual art and music festival, Burn2, is under way. There are five sims of art exhibits and music events. Newser writer Klaus Bereznyak, whom is himself part of the Burn2 volunteer staff, took a look around, taking in the sights and sounds, and wrote down his experiences. So what did he see? Read Klaus' story in Events. Wesley Regenbogen recently had a chance to interview Barbie Alchemi, the owner of "Creations For Parkinson's. 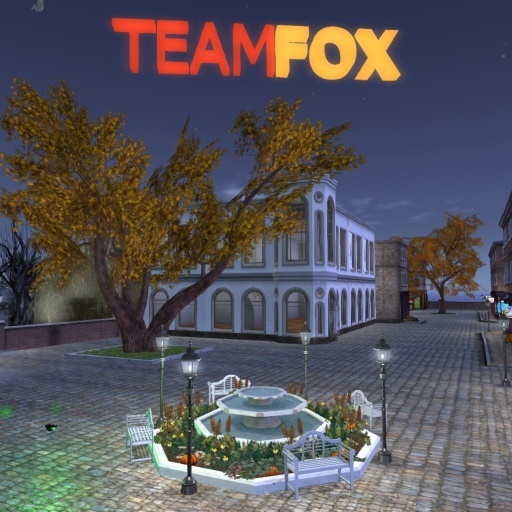 The area is not just well known for it's beauty and design, from the top of the buildings to under the water, but for being the home of "Team Fox," which raises funds for research for treatments of Parkinson's Disease. Wesley's questions went from how the place came to be, to how much has been raised over time, to it's current fundraiser, the Gotham Halloween Event. Read Wesley's article in Extra. Quite a bit happened this weekend in Second Life. It was the opening of the annual Burn2 art and music festival. But it also saw the anniversary events of Trotsdale and Luskwood (above). 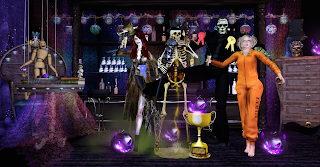 There was a Halloween party at the Europa Wulfenbach sim. 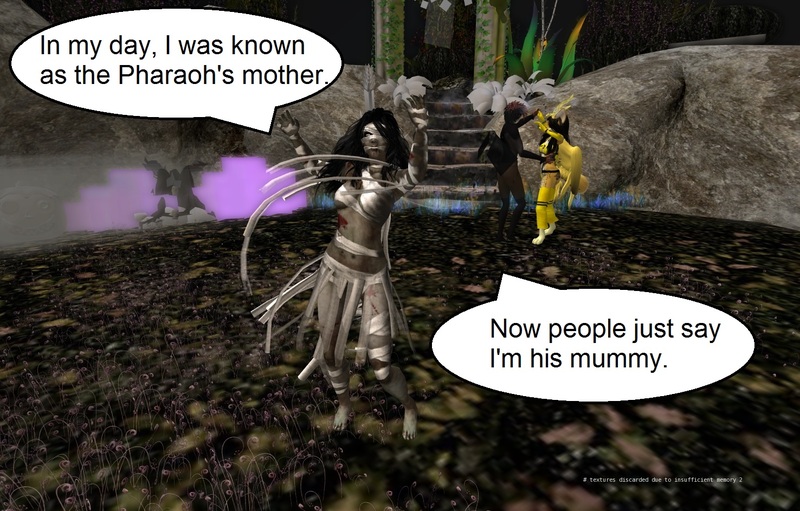 Making Strides in Second Life had some events. 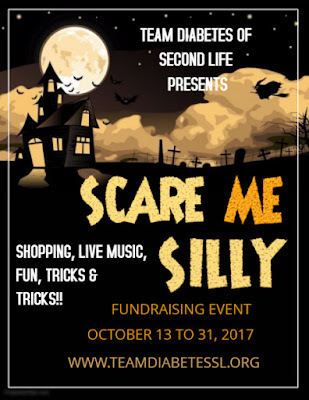 And Senchai Libraries took part in the "Scare Me Silly" fundraiser for Team Diabetes. We have some about Burn2 today. We'll get to more time permitting. With everything that was happening on Saturday, I only had a short time to visit Burn2. And most of what I saw, Klaus Bereznyak described in his story. 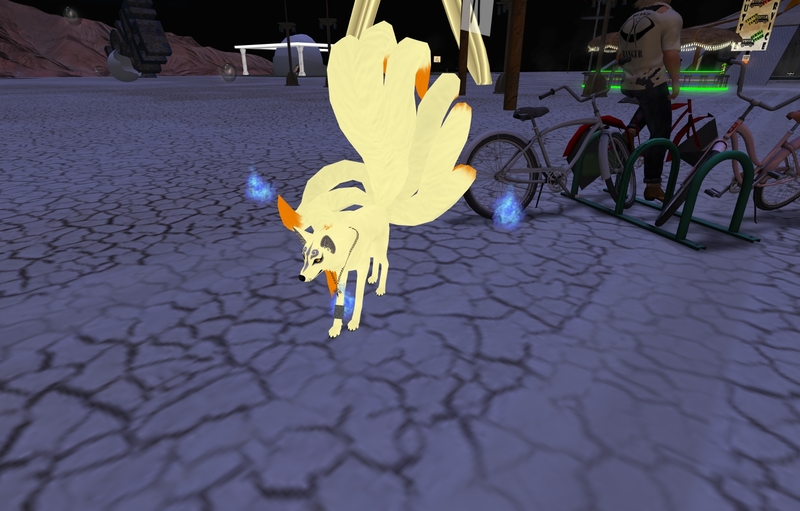 I did notice a few out of the ordinary avatars, such as a nine-tailed kitsune. Hopefully that was an omen of good luck. But I also stumbled across a ceremony conducted amongst the Rangers of Burn2. "Welcome Rangers," Leondra Larsson told the others, "I first want to say how much I enjoyed training and learning with each of you. I first want to say how much I enjoyed training and learning with each of you. You are special. You have answered the call. You have trained and you are ready. This past year at Burning Man marked the 25th anniversary of the Rebar Ceremony. In mirroring that ritual, I am honoring the Black Rock Rangers and the BURN2 Rangers". "I am going to draw a line on the Playa," Leondra told them. "On the other side of this line, everything will be different. I am going to do that now. ... See it?" People hesitated to answer at first, then were saying they could. Leondra continued, "All step up to that line. Magic of SL, it can be bigger (smile). What you serve is the community. Please, Rangers of the class of 2017 cross this line." And they did, "Rangers stepping up." Leondra went on, "Now brother and sister Rangers of former years, cross this line with me, and join our new Rangers. ... What we make out of this is up to us. May we serve with kindness, empathy, and helpfulness. May we be the embodiment of the 10 Principles and be viewed as helpers of the community." "And do a whole lot of nothing this week," Miss Suzanne Super Sweet (SuperSuz Resident) quipped. After that and a few more lines, and a picture taken, the rangers split up to go to different places around the Burn2 grounds. RAISE YOUR HAND IF YOU LIKE SPOOKY STORIES! Well, we have plenty of you to enjoy them between now and All Hallows, including sessions for Kultivate Magazine, at Innsmouth, the Time Portal, and back at Octoberville. 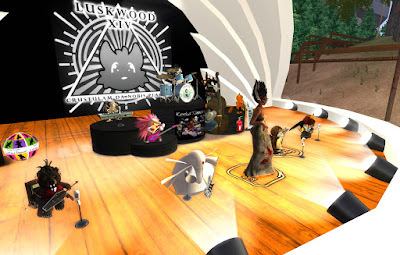 Join us for stories all week in #secondlife, and on our properties in #kitely, live in voice. All sessions held at the Seanchai Library in Second Life unless otherwise indicated. The 2nd Annual Holly Kai GREAT BOO! ~ Sunday, October 29th: Stories from Noon to 2pm, followed by music and dancing. Possibly more! Stay Tuned! From Art Furry Studios on March 3, "Attention! Not for the faint of heart!!! Music and sounds - the official soundtracks of the SlenderMen series of games"
Luskwood, considered Second Life's best known furry community and one of it's oldest, is having it's anniversary celebration, the LW14B, tomorrow, Saturday October 21. The event, which goes alongside it's sister community Trotsdale's anniversary, looks like it has a conspiracy/secrecy theme, if one goes by it's inworld group announcement and blog post. THIS IS A FALSE FLAG OPERATION. A vast coverup will begin at 4pm on October 21, Saturday. 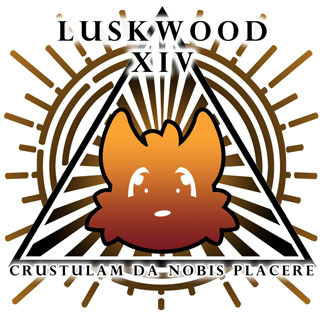 Luskwood's 14th year coincides with Trotsdale's 6th. 7PM-???? - Haley Maruti - "RESTRICTED AREA"
The largest and longest running yearly art and music festival, Burn2, will be starting tomorrow. 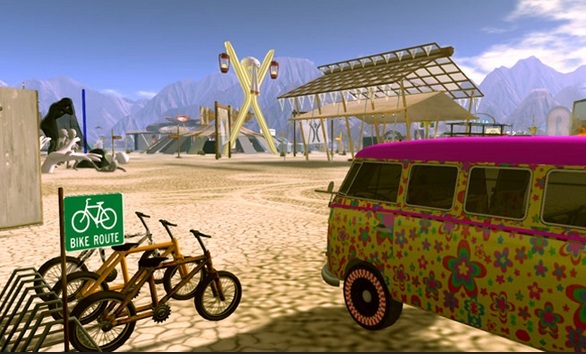 Originally called Burning Life, Burn2 is the inworld version of the Burning Man festival that takes place every year in the Black Rock Desert in Nevada. It's notable that while coming up with Second Life, members of the early Linden Lab attended Burning Man, and the event was a partial inspiration for the virtual world's development. In recent years, the popularity of the event has resulted in smaller spinnoff events throughout the year, though the "Octoburn" as it's come to be called remains the main one. This year's festival will take place from Saturday October 21 to Sunday October 29. The theme, which always reflects the real-life Burning Man, will be "Radical Ritual." 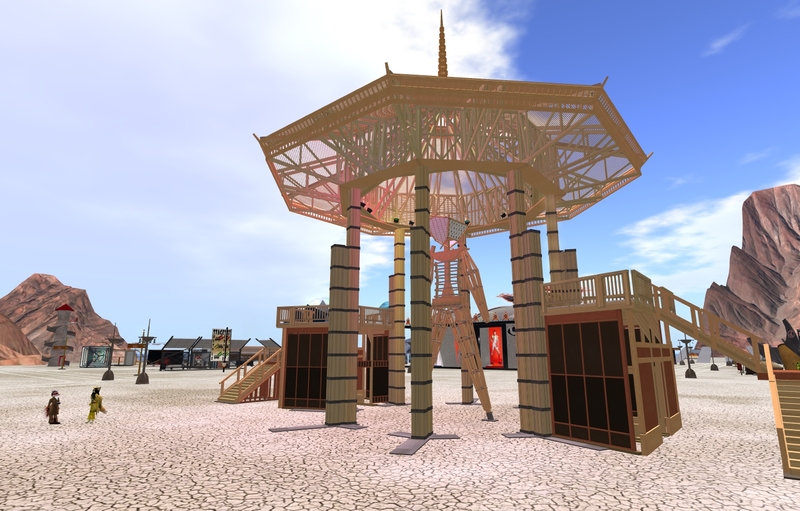 There are five sims of artistic exhibits and music events: Burning Man - Mirage, Burning Man - Limbo, Burning Man - Alkali, Burning Man - Black Rock, and Burning Man - Deep Hole. Sadly, the real-life Burning Man festival was marked by tragedy this year when one man ran into the flames of the "Burning of The Man," and later died of his injuries. While no harm will come to your avatar in the virtual event, all visitors are asked to comply with the requests of the volunteer staff. Abstract: For more than a decade, a cadre of visionary educators have called upon new technologies to help educate excluded peoples around the globe. This Science Circle session provides an update and prognostications on societal need, technological breakthroughs, course design, administrative challenges, faculty support, and – most importantly – student access. Bio: Steven R. Van Hook (Kip Roffo) has a PhD specializing in transcultural distance learning; designed online and mixed courses for programs at several California universities serving international students (including UCSB and UCLA); and published/presented extensively on global education issues. It's the time of year when Halloween is in the air, and one place that's having plenty of Halloween-themed fun is Furry Fashion. For the owner, Amethyst Crystal, it's her favorite time of year. She and her staff have a Halloween-themed area above the main mall, which one can not just explore for some frightful fun, but also do a Halloween hunt and get some free items. Shockwave Yareach's "Alien Egg Hunt" is back. 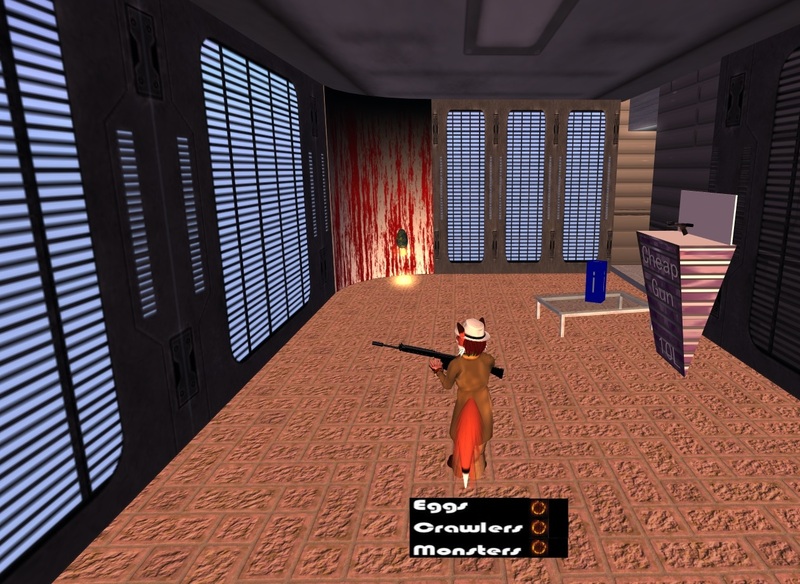 In the past, it was a twisted take on an Easter egg hunt. But it fits in fine with Halloween. Players take on the role of someone searching the spaceship "Nostromo" for alien eggs and creatures. 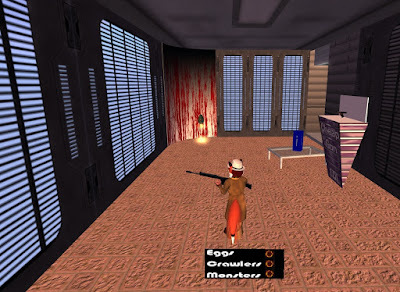 To play the game, you need a HUD, which can be picked up at the maze's start, and a gun that can function in the game. You can buy the one at the start for ten Lindens, or use your own. For the later, test it on the display egg to make sure it works. For more information on the game, read Grease Coake's article from 2013. Taken at the Happy Vixen. I guess from this guy, expect tunes like "Don't Mine at Night" and "Dig Diggy Hole." 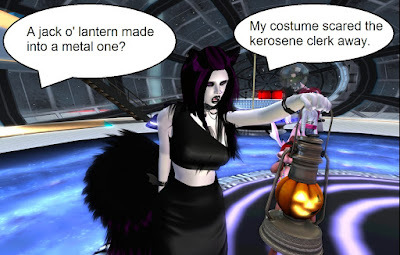 Since writing earlier about a few Halloween-themed places on the Grid, Gemma Cleanslate has continued her explorations. She has found more scary locations, and here's her article on this additional "spook-tacular" fun. It's an exciting week of events at the Angels and Cutlass clubs, and the Furry Fashion Lounge. 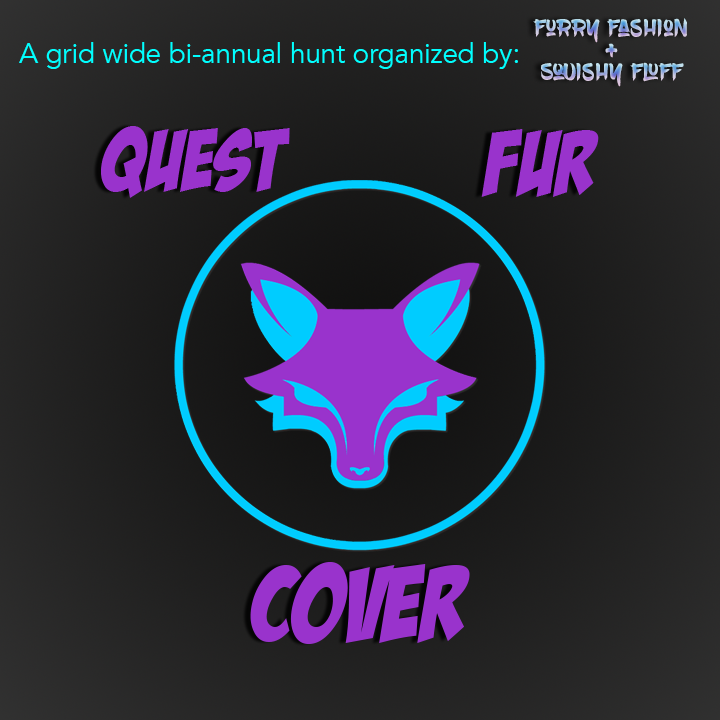 The "Quest Fur Cover" event is open, a twice a year event organized by Furry Fashion and Squishy Fluff, and the first stop of the event is the Furry Fashion mall. The item the store says to look for: "Voodoo Kitty Plushies." "Some stores may not be 100% ready yet plus check the blog if unsure!" Sunday night was the end of the "Tail Sale," or date auction, being held at Club Zero Gravity. 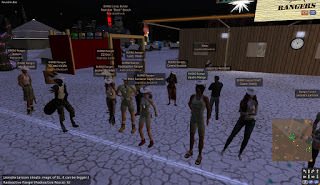 From 6-8PM SL time, the crowd danced as the final bids on the volunteers were made (due to that it was an "Undies" event, no pictures are being published). The auction netted a total of 15,422 Linden dollars , half of which went to the ladies. The highest bid on was Brandi Streusel, whose high bid was 6070 Lindens. Thank you to all those that put themselves up for Auction. We grossed $15,422Ls. Out of that the club earned $7711L's.